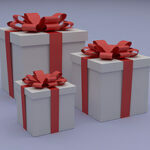 Have you ever wondered what to get him that he won’t toss in a drawer and forget about? 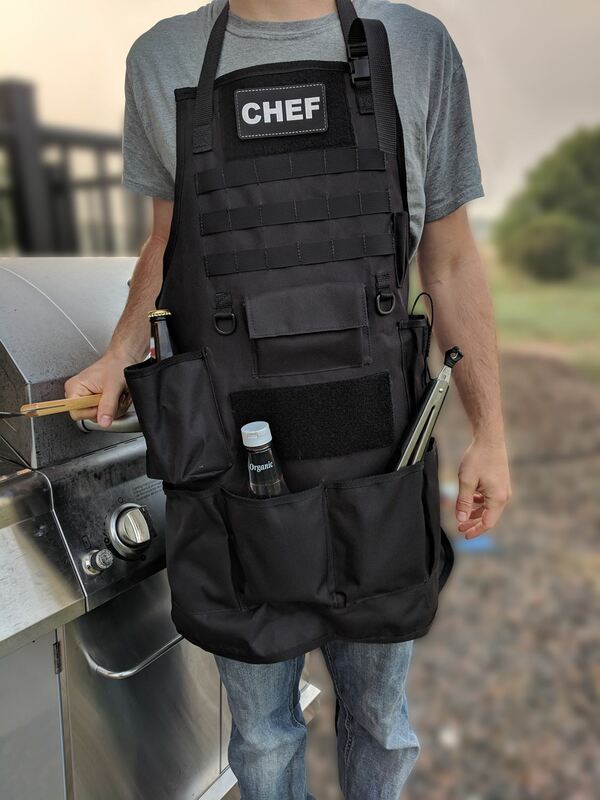 This list of lasting, personalized gifts for him will give you plenty of unique gift ideas whether presents for Christmas, birthday gift or just because. What are the keys to a great gift that is appreciated, kept and used for years? 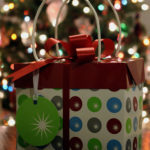 Are guys easier to give great gifts to than gals? If you need ideas for gifts for the lady in your life we’ve got a list for that too. What do you need in the great outdoors? 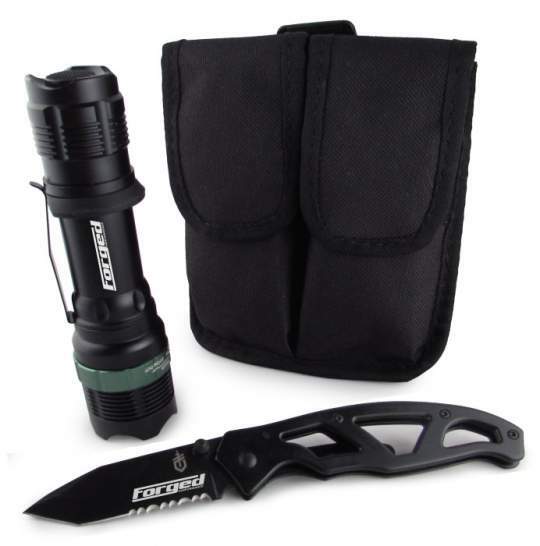 A good knife, a good flashlight. Combined into this one gift set. See more outdoorsman gift ideas. 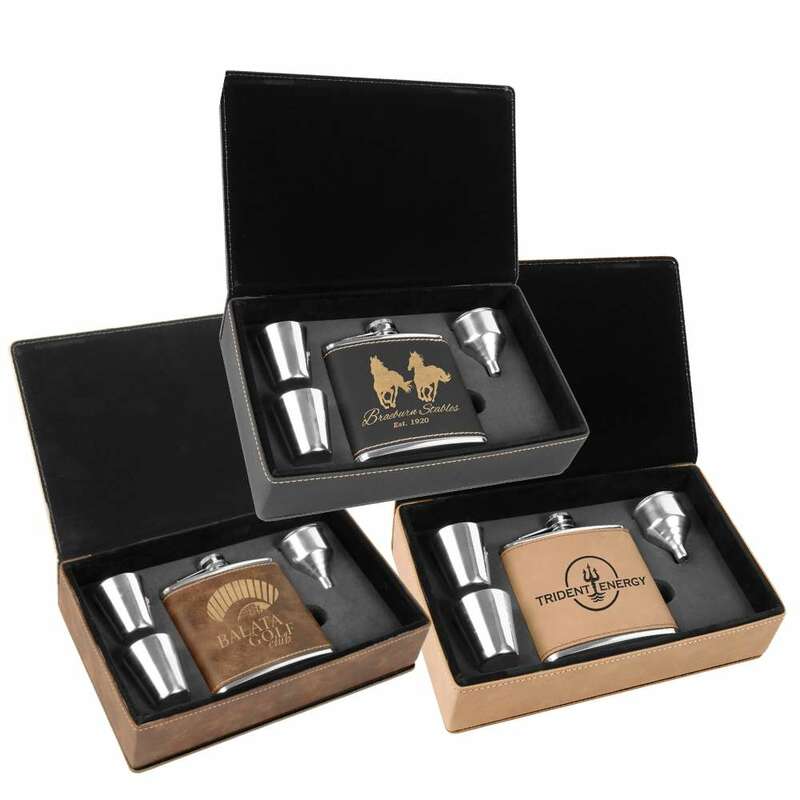 Flask gift sets are a great gift – a high quality custom flask, paired with a nice gift box and 2 shot glasses. 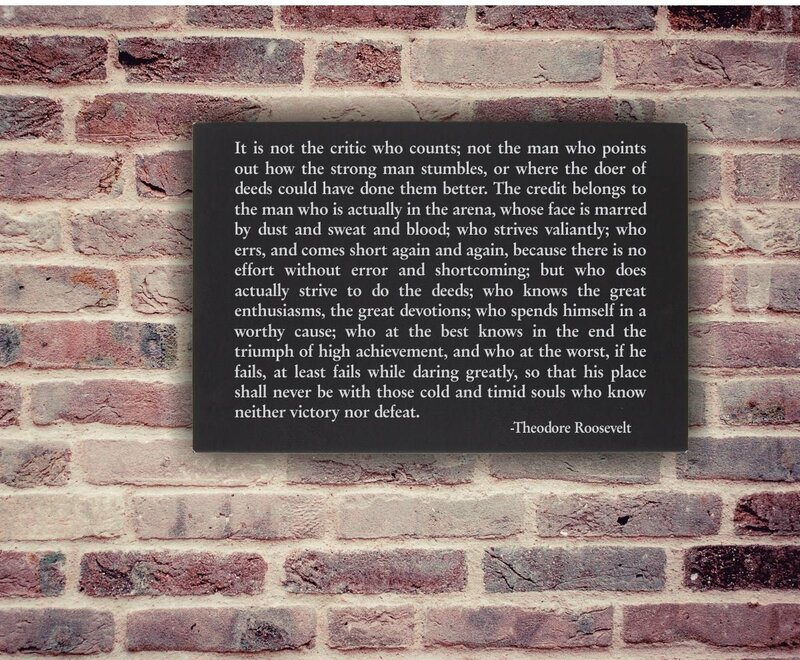 Inspire in the Man Cave with this famous quote from President Theodore Roosevelt’s “Man in the Arena” speech. 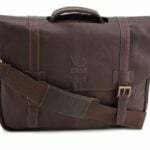 Kenneth Cole Reaction Luggage Bag, laser engraved. 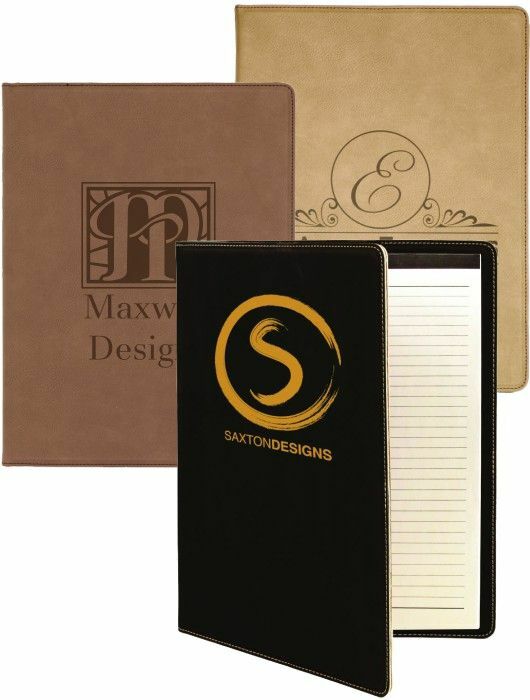 See more executive gifts. Keep him powered on the go! 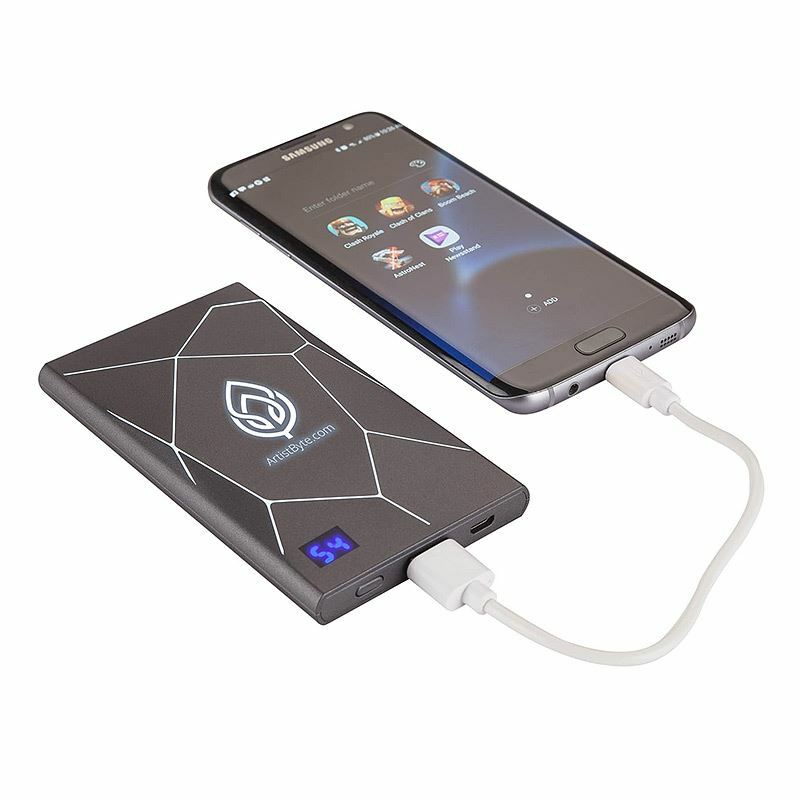 Traveling uses a lot of cell phone juice – keep it charged with a personalized power bank with his initials, name or favorite traveling quote custom engraved. 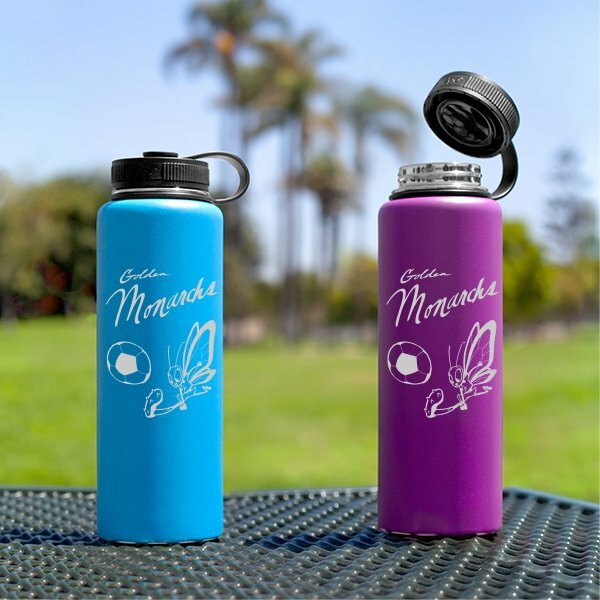 Keep them hydrated with a 40oz insulated water bottle. Too much? Browse other insulated bottles. For any man who enjoys time in the kitchen, a good kitchen knife is a must have. 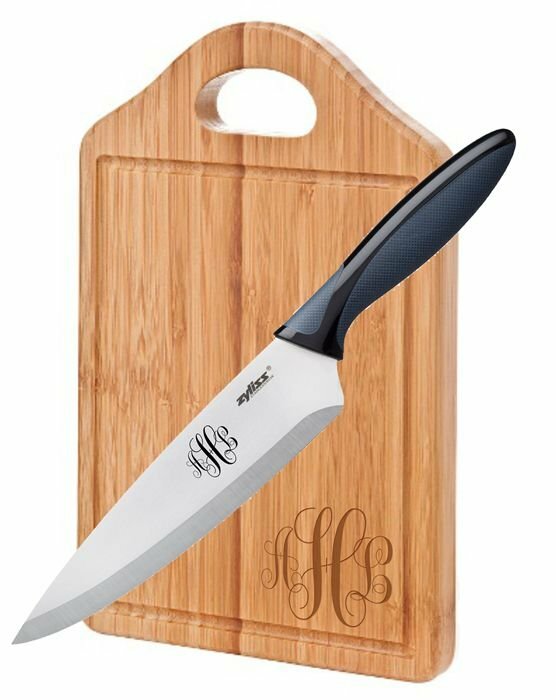 Paired with a solid cutting board you’ve got a gift he will use for decades. 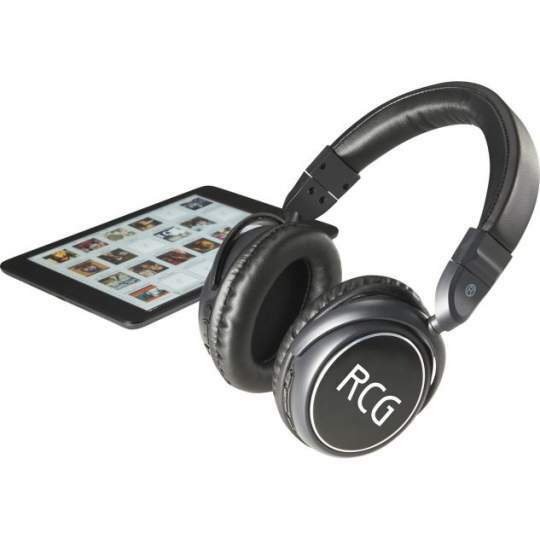 The gift of focus – with the aid of high quality headphones. Priceless. 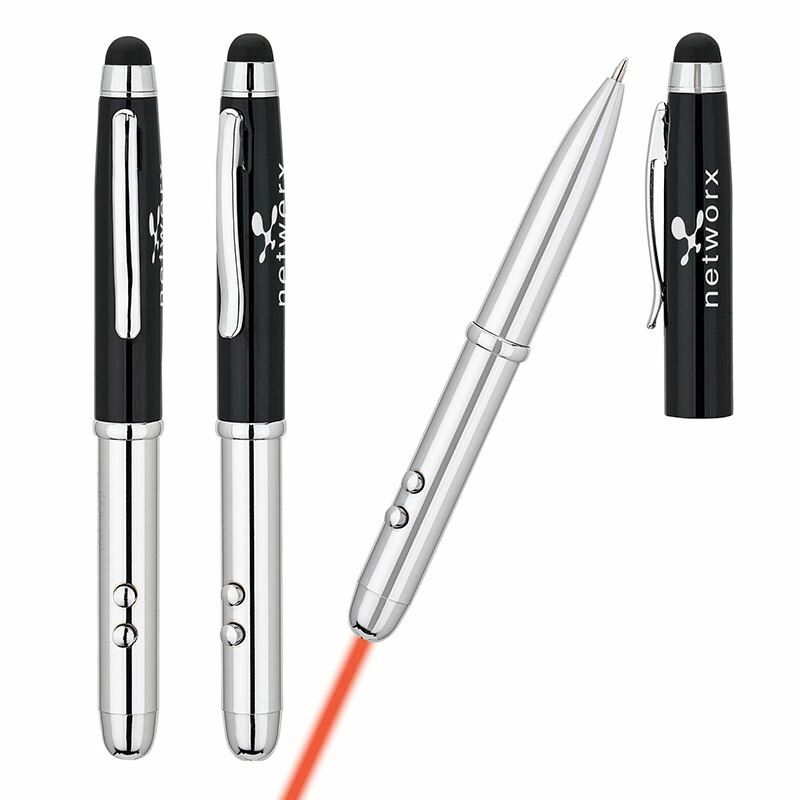 Laser pointer? Check. Flashlight? Check. Stylus? Check. Writing pen? Check. 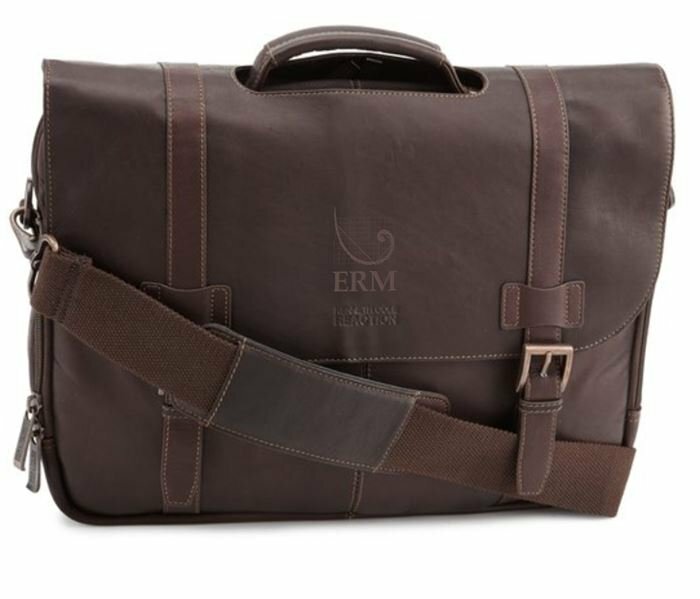 Executive look and feel? Check. Pocket knives are a rite of passage for many sons. 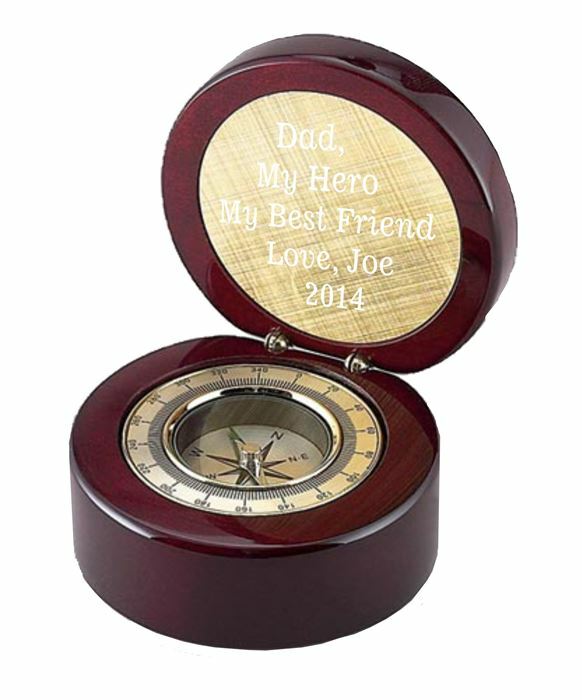 Perfect for any age with a custom laser engraved logo or message. 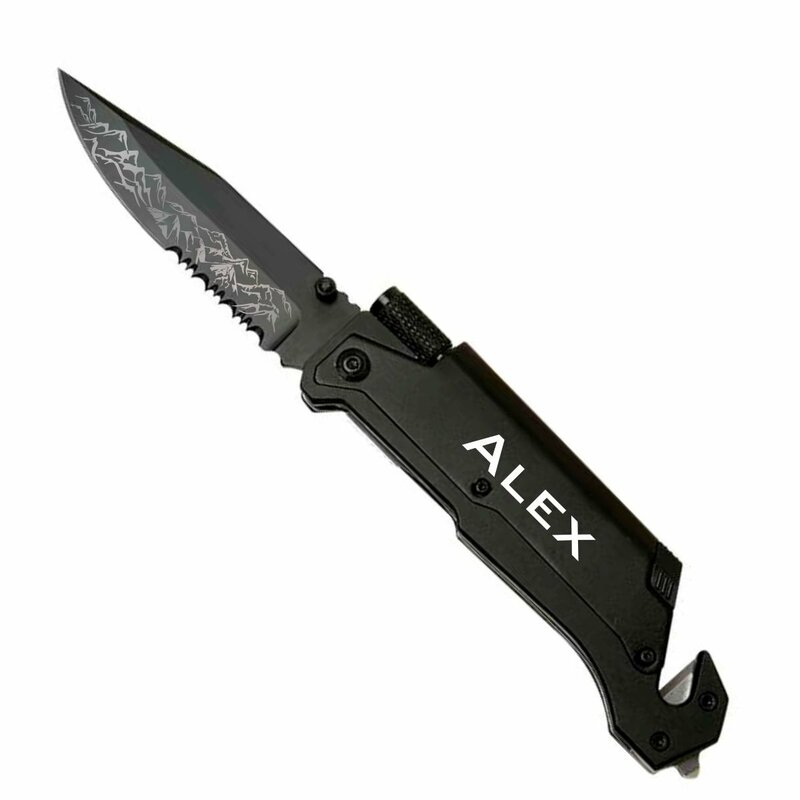 Shown here, our Mountain Range Survival Knife. 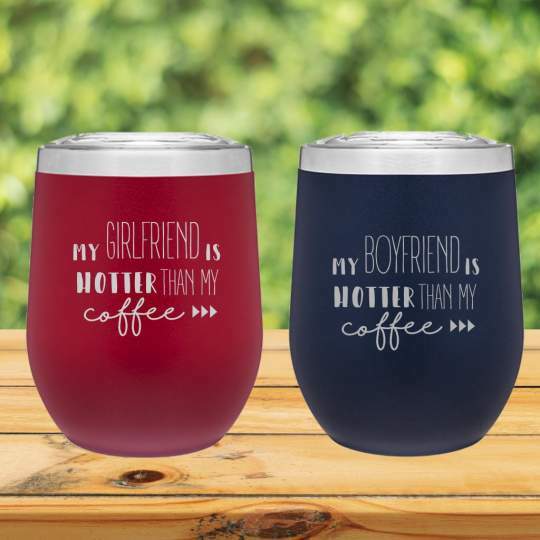 My boyfriend is hotter than….my coffee. Give him a mug that comes with a perk – one for you!